The man who identifies himself as the driver that Maine State Police Detective Richard Campbell stopped to help last week has written a heartfelt post on Facebook. Campbell was struck last Wednesday morning by a tire that fell off a logging truck. He later died at Eastern Maine Medical Center in Bangor. 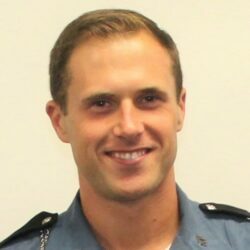 The motorist, whose car had skidded off the road due to slippery road conditions on Interstate 95 in Hampden, describes in vivid detail his brief encounter with Campbell and his impressions of the trooper who risked his life to help a stranded motorist. On Sunday evening, Stephen McCausland, spokesman for the Maine Department of Public Safety, issued a statement in which he identified the stranded motorist whom Campbell stopped to help as 26-year-old Robert John Anthony of Clifton. McCausland said he did not know if Anthony authored the Facebook post. Several attempts to reach Anthony over the past several days have been unsuccessful. Here is the post that went up on Anthony’s Facebook page at 1:38 a.m. April 4.